Home > Home Page > Find Your Inner St. Vincent! 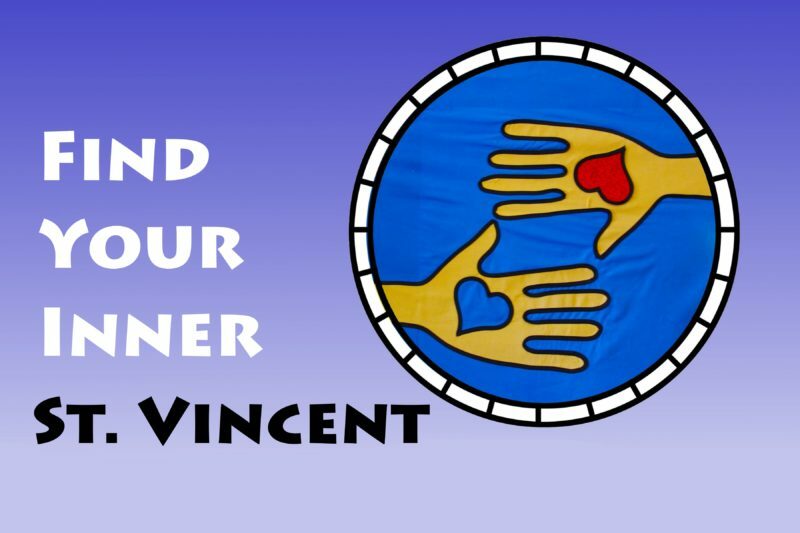 The theme for the parish’s Feast of St. Vincent celebration this year is “Find Your Inner St. Vincent!” This slightly hippy-dippy theme statement might seem simplistic, even flighty, at first glance. That is until you ask yourself what “finding your inner St. Vincent” might look like, which was directly inspired by the life of St. Vincent de Paul’s life. End of story, right? Mission accomplished? Pension and a high yield investment portfolio? He probably just packed it in and put his life on cruise control. Not St. Vincent! After an encounter with the servant of one of his wealthy patrons, his eyes were opened to the spiritual and physical needs of the poor. The rest is history. Finding your inner St. Vincent means getting uncomfortable, unsettled, and unsatisfied with status quo in our lives. This will look different for different folks, and each of us will find this inspiration in a different place.